Although virtual field trips are becoming popular, there are few empirical studies of their impacts on student outcomes. 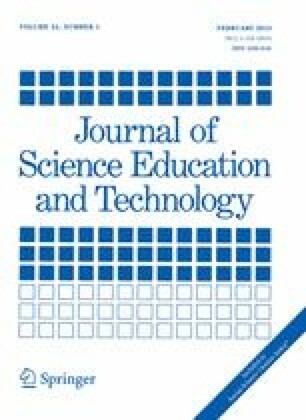 This study reports on a meta-analytic evaluation of the impact of a virtual field trip on student perceptions of scientists. Specifically, the study examined the summary effect of zipTrips broadcasts on evaluation participants’ perceptions of scientists, as well as the moderating effect of program type on program impact. The results showed statistically significant effect of each broadcast, as well as statistically significant summary (combined) effect of zipTrips on evaluation participants’ perceptions of scientists. Results of the moderation analysis showed that the effect was greater for the students that participated in the evaluation of the 8th grade broadcasts, providing additional insight into the role of program variation in predicting differential program impact. This study illustrates how meta-analysis, a methodology that should be of interest to STEM education researchers and evaluation practitioners, can be used to summarize the effects of multiple offerings of the same program. Other implications for STEM educators are discussed. Purdue zipTrips™ is a trademark of Purdue University. The project was developed with partial support from the Howard Hughes Medical Institute (Grant #51006097; PI: J. Paul Robinson). The contents of this paper are the authors’ and do not necessarily represent the views or policies of the Howard Hughes Medical Institute. The authors acknowledge the assistance of Jamie Loizzo, Joan Crow, Carol McGrew, Steve Doyle, Sharon Katz, Julianne Bell, Rebecca Goetz, Ann Bessenbacher, Laurent Couetil, Lisa Hillard, Lori Corriveau, the Indiana Higher Education Telecommunication System, the Indiana Public Broadcasting Service, and the teachers and administrators from several school corporations who assisted in the development of Purdue zipTrips. See Tables 7, 8, 9, 10, 11, 12, 13, 14 in appendix.